The Only Green Cleaning Company You Need in Miami and Beyond. Industrial cleaning services tend to be much overlooked by firms as they strive to keep profits rolling in and the industry ticking over, so what better to leave your office cleaning services to the professionals? At Clean Office Plus you will discover we are passionate about professional cleaning services that exceed expectation. There are few commercial cleaning companies or cleaning services in Miami than understand your desire to keep a tidy, pristine office and working environment than we do. 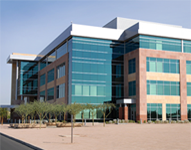 At Clean Office Plus we are an office cleaning Service Company to act as the go-to firm for a cleaner environment in which to work in. You can discover all the answers to those questions through our website and we would be happy to answer any questions should you wish to get in touch. 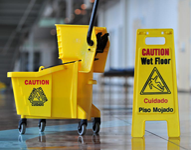 Our commercial service offers contract cleaning in Miami, Coral Gables, Kendall, Doral and Fort Lauderdale. In fact, it actually covers a wide area around the Southern Florida region. Miami commercial cleaning companies rarely offer such a green and environmentally-friendly service as the one our cleaning services in Miami FL can. We’ve been it doing for well over a decade and understand that every firm needs to its part in maintaining a better world for our future generations. By using environmentally-friendly methods and techniques we lead the way in adapting to green cleaning products in Miami. This means using filters when needed and products that do not harm the environment. Miami green office cleaning methods mean we strive to use less chemicals while giving you high quality commercial cleaning services in Miami. It is our passion and we believe this reflects in the industrial cleaning services we offer. Clean Office Plus is an approachable organisation which can answer all your commercial cleaning queries in Miami and beyond. 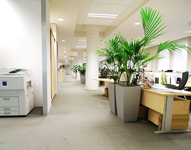 Commercial office cleaning should be left to us to worry about while you get on with the daily concerns of running your business. Clean Office Plus dedicates itself to a commercial cleaning service in Miami, Miami Beach, Brickell, Kendall, Pine Crest, Coral Gables, Homestead, and Palmetto Bay throughout South Florida. Please complete our easy online form and we will contact you within 24 hours. Sooner or later, professional cleaning companies will be required to use green products only. Clean Office Plus is ahead of the game. 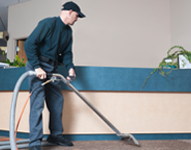 We have all of the cleaners, equipment, and personnel in place to serve you. Currently, federal facility Managers are working hand-in-hand with the cleaning acquisition community for the development of contracts encouraging lower environmental impact cleaning agents. We're already there! With the new Federal Government in place, it won't be long before legislation could be enacted making it mandatory to use only Green Cleaning products in public buildings. Nothing new to Clean Office Plus, You want to trust the experts! To request our janitorial services or schedule a janitorial quote please complete our estimate form and one of our professional staff members will contact you within 24 hours or simply give us a call and discover more about our contract cleaning services in Miami and beyond.